Magnetic resonance imaging (MRI) is a medical technique used in radiology to obtain anatomical images of healthy and pathological tissues. Due to hardware limitations and clinical protocols, MRI data are often acquired with low-resolution. For this reason, the scientific community has been developing super-resolution (SR) methodologies in order to enhance spatial resolution through post-processing of 2D multi-slice images. The enhancement of spatial resolution in magnetic resonance (MR) images improves clinical procedures such as tissue segmentation, registration and disease diagnosis. Several methods to perform SR-MR images have been proposed. 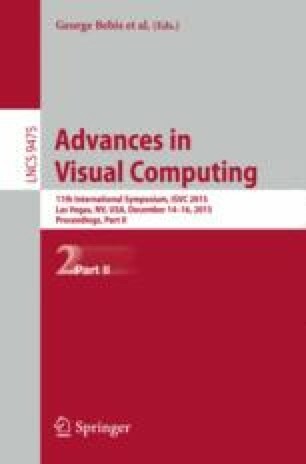 However, they present different drawbacks: sensitivity to noise, high computational cost, and complex optimization algorithms. In this paper, we develop a supervised learning methodology to perform SR-MR images using a patch-based Gaussian process regression (GPR) method. We compare our approach with nearest-neighbor interpolation, B-splines and a SR-GPR scheme based on nearest-neighbors. We test our SR-GPR algorithm in MRI-T1 and MRI-T2 studies, evaluating the performance through error metrics and morphological validation (tissue segmentation). Results obtained with our methodology outperform the other alternatives for all validation protocols. H.D. Vargas Cardona is funded by Colciencias under the program: formación de alto nivel para la ciencia, la tecnología y la innovación - Convocatoria 617 de 2013. This research has been developed under the project: Estimación de los parámetros de neuro modulación con terapia de estimulación cerebral profunda en pacientes con enfermedad de Parkinson a partir del volumen de tejido activo planeado, financed by Colciencias with code 1110-657-40687.